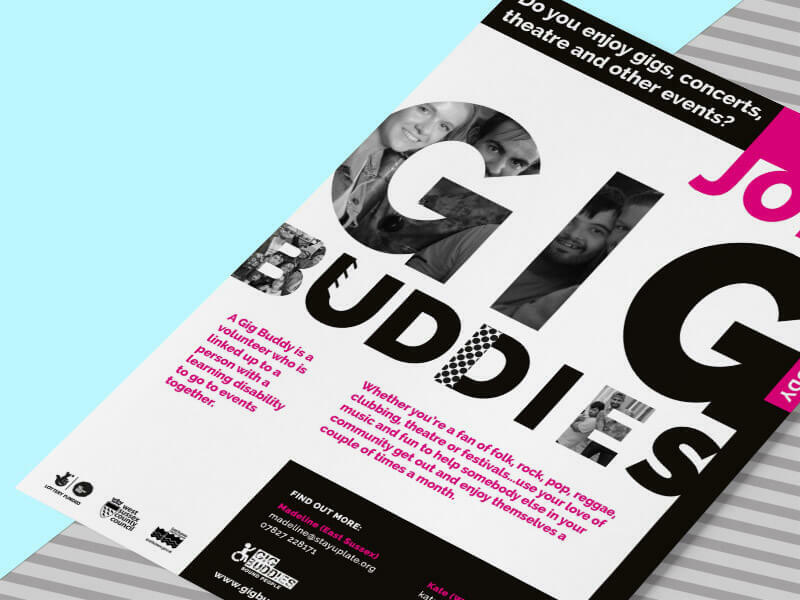 Gig Buddies is a project created by Stay Up Late, a charity that campaigns to change institutional and inflexible care practices as well as educating people about the issues facing people with learning disabilities. 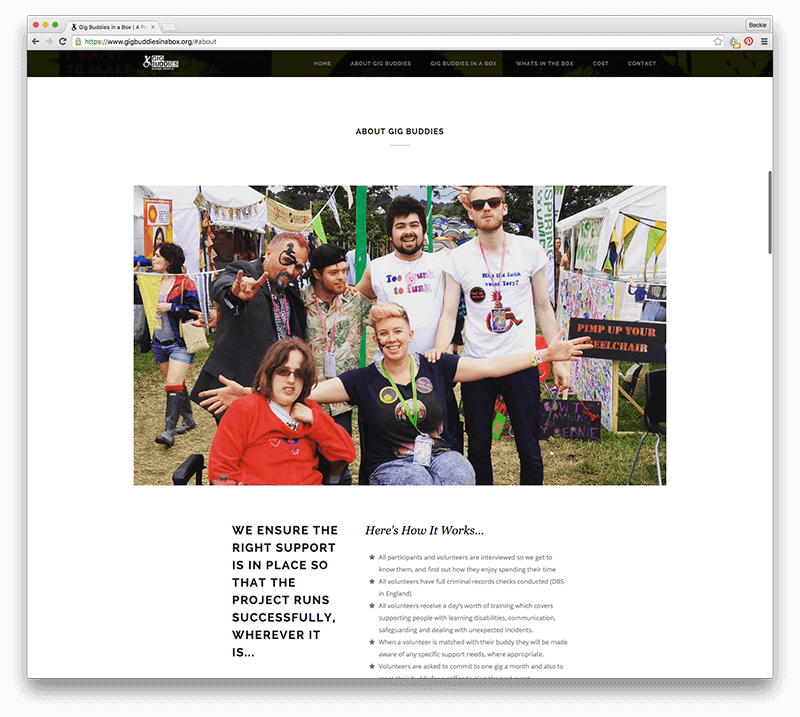 The concept behind Gig Buddies is simple; they match people with learning disabilities and autism with a volunteer who loves the same kind of music so they can go to gigs together. 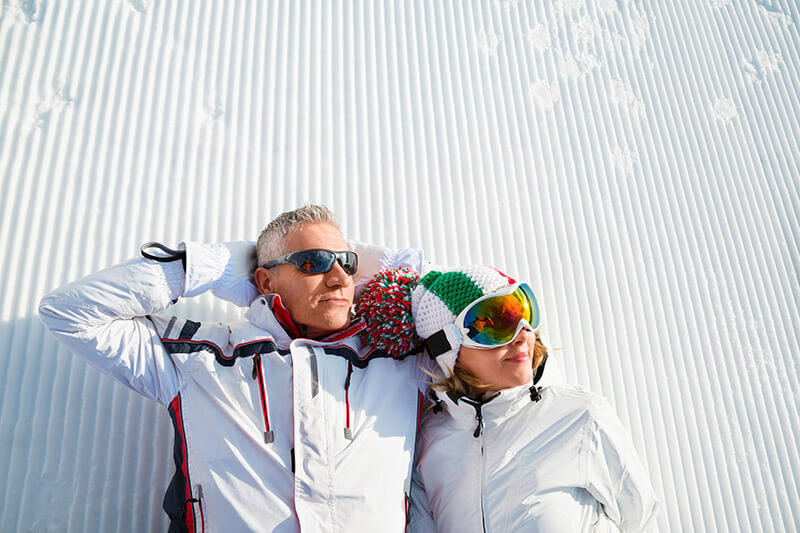 Gig Buddies came to us with a number of linked briefs to solve. 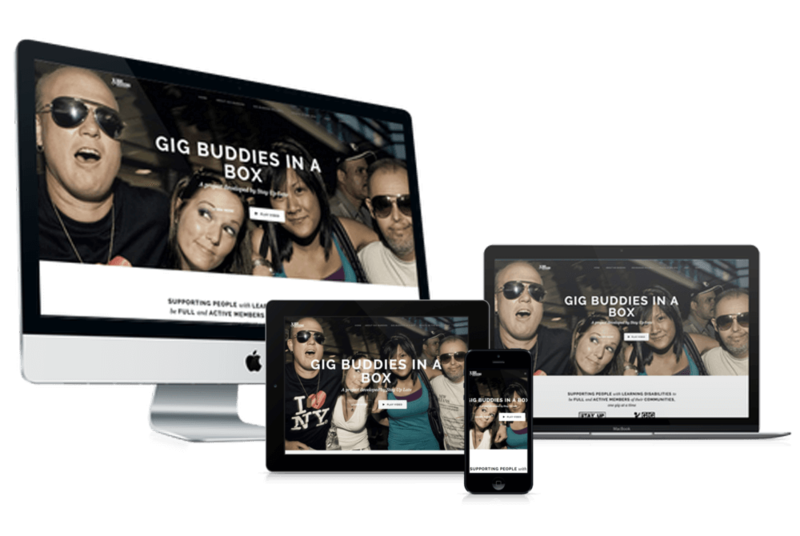 The first was to create a mini portfolio style website and accompanying PDF that would enable them to roll out ‘Gig Buddies In A Box’ – the vehicle for which they intend to use to spread the word and continue to set up Gig Buddy communities around the world. 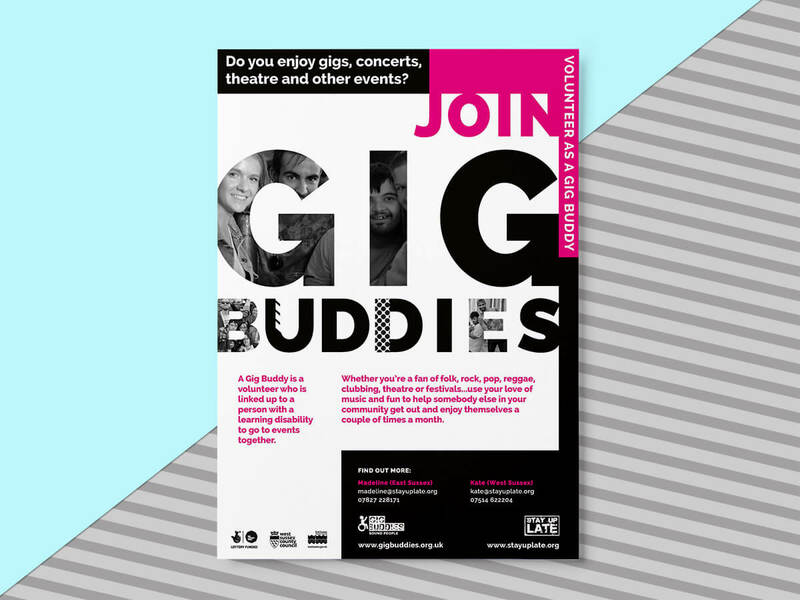 Second to this was a need for an infographic telling the story of Stay Up Late in an inclusive way and lastly, a recruitment flyer for Gig Buddy volunteers. 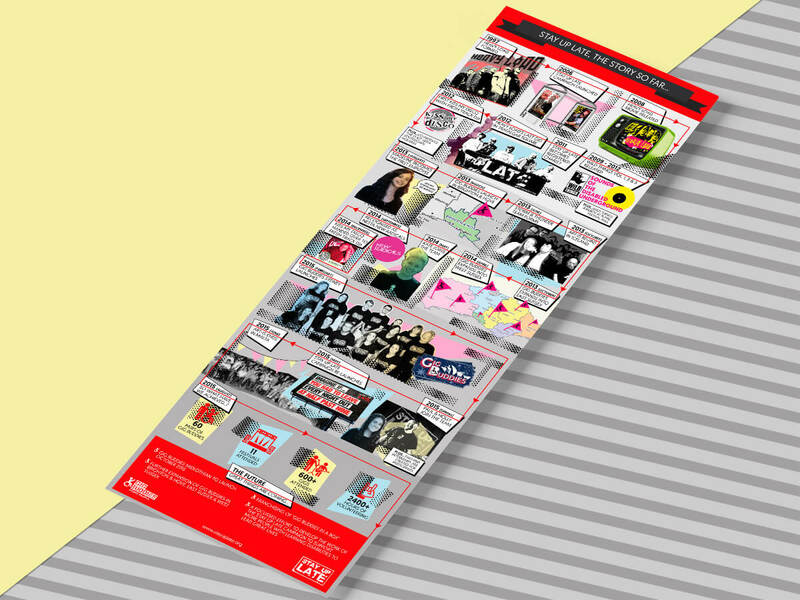 The solution to each of these briefs was approached in a simple and transparent way. 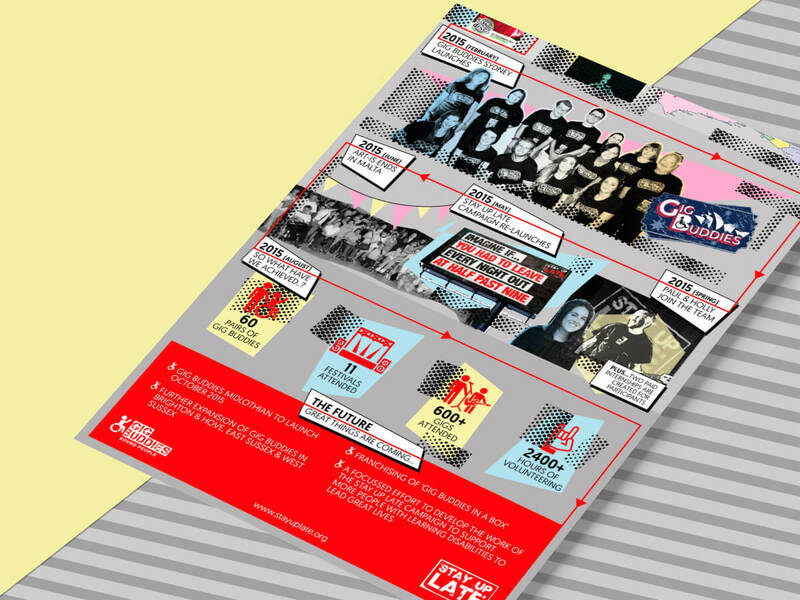 First of all we dissected the Stay Up Late journey – all 15 years of it – in order to create a comprehensive timeline of how the charity and its work has evolved. 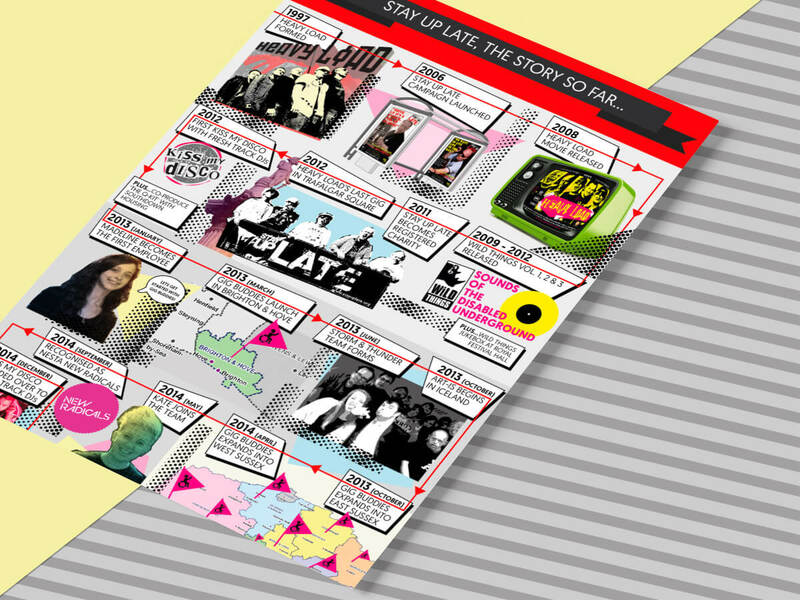 This resulted in an inclusive infographic that is used to communicate the story of Stay Up Late all over the world. 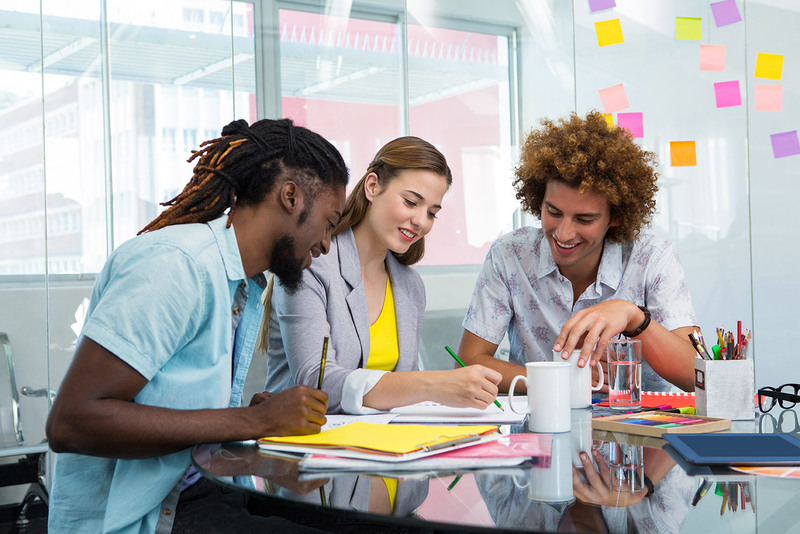 Gig Buddies In A Box was created next. 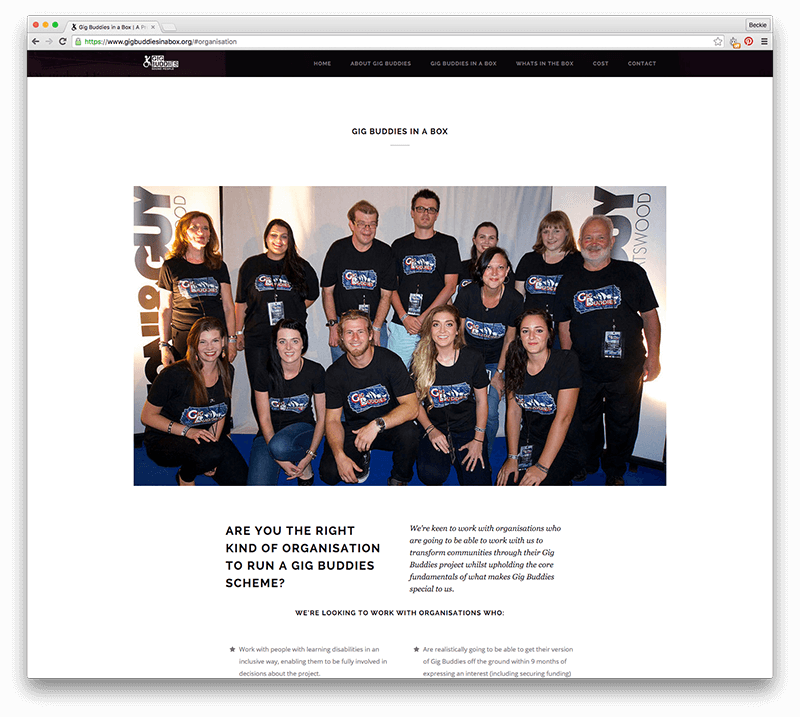 We opted for a two pronged approach, creating a simple responsive one page website that showcases all the information an organisation might need when considering becoming a part of the community, as well as a password protected community intranet that allows the storage and access of various policy documents, community forums and funding and project help.